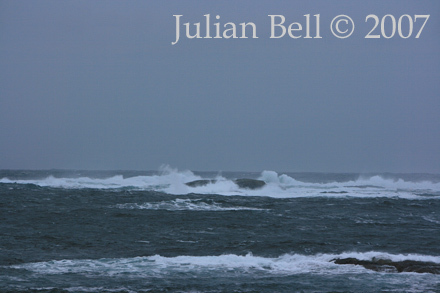 The freight ship "Server" ran aground at Fedje during the early hours of Saturday 13 january 2007. An estimated 300 tons of crude oil leaked out causing something of a catastrophe for the local birdlife. Smaller quantities of diesel were also discharged into the sea. 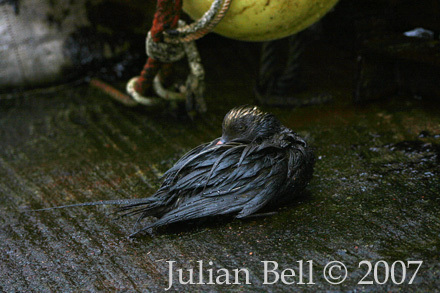 Strong winds and heavy seas have dispersed the oil over a large area and the effects on the local birdlife are already being felt - the first fatalities have already been recorded. 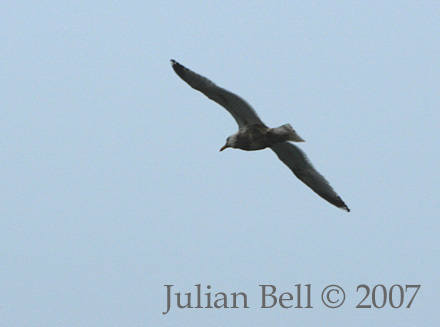 Oiled gulls were seen in Øygarden during the course of Saturday morning, more on Sunday when organised counts took place. I was not able to partake in the counts on the Sunday but was out on Monday 15 January to check a few chosen localities. The scale of the disaster is obviously increasing as time goes by and the experience was progressively more harrowing as the day progressed. Øygarden is home to large numbers of wintering seaduck and it is already obvious that a large number of these will be affected. Outside my house at least 40 of the 200 gulls on Husvatnet, Tjeldstø were oiled. 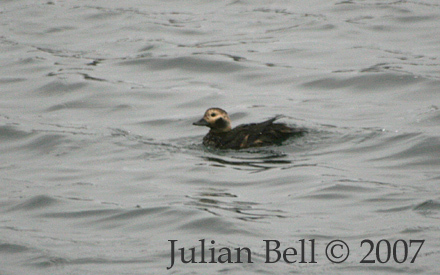 At Solberg I saw no oil in the sea but several of the Long-tailed Duck present were obviously oiled - it was hard to evaluate as conditions were far from easy with strong winds and heavy seas hampering observations. 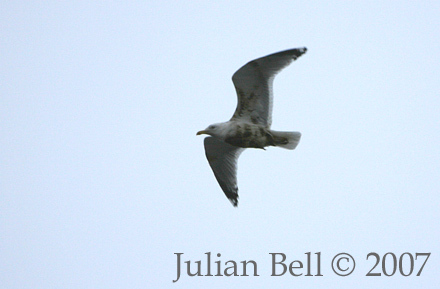 Several more oiled gulls were observed here. Next stop was Alvheim where the first Black Guillemot I have seen this year was hauled up on the rocks, desparately trying to clean the oil off its plumage. 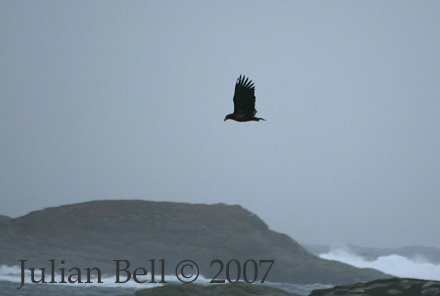 A patrolling White-tailed Eagle spotted it and immediately moved in for the kill, stooping at the unlucky auk which leapt into the sea to avoid capture. 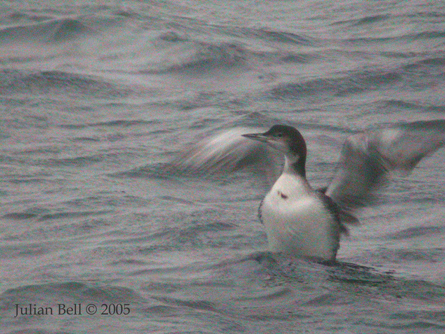 Amazingly the auk surfaced with a small fish in its beak, but was obviously struggling with the waterproofing of its plumage. 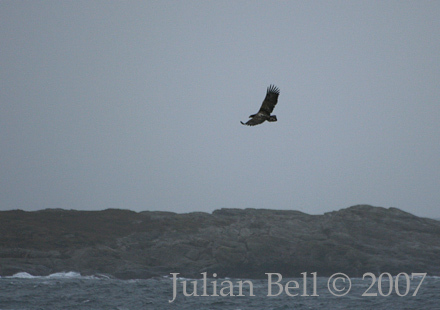 Other oiled birds here included Eiders and more gulls. One can only wonder what the effect of this oil spill will be on the local eagle population - they will have easy pickings during the next week or so but will surely run the risk of becoming oiled or even ingesting it as they feed on the carcasses of gulls, ducks and auks. One can only pray that these fantastic birds do not also become victims of this disaster. 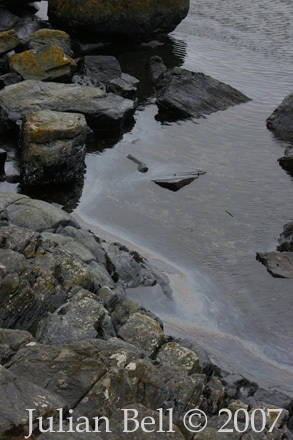 The stink of diesel and oil was overwhelming at Svellingen - the shore was coated with a thick layer of oil and the sea was covered with a thin film of pollution. 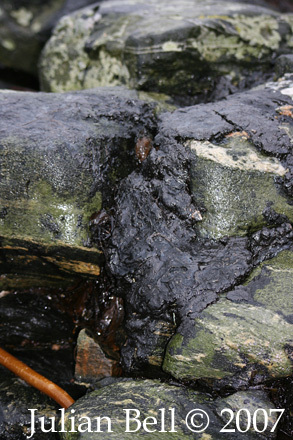 No sign of any attempts to clean up the area were evident and virtually all the birds seen here were covered in black oil. At least 15 Long-tailed Duck, two Eiders, a Common Scoter, two Red-breasted Merganser and a Common Guillemot are all doomed to a slow and painful death unless efforts are made to catch these unfortunate creatures and take them into care. Things were no better at Hellesøy - I put one of the two oiled Long-tailed ducks here out of its misery with a piece of drifwood I found lying nearby. The poor bird was so far gone that there was no hope of survival, even if had received the proper treatment.